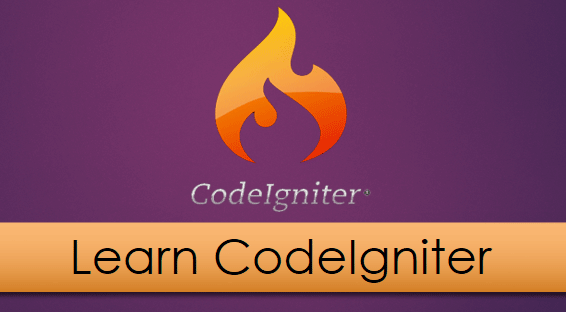 In this tutorial, we are discussing “Form Helper” In CodeIgniter. We generally use a form to collect input from the user and store it either database or file. And uses this information as per application requirements. In CodeIgniter, The Form Helper file contains functions that assist us working with forms more effectively. Before using the Form Helper, we need to load the helper So, let’s begin this tutorial by learning how to load a form helper library. We can load the “Form Helper” using load method at your controller as follows. The above example creates following HTML Tag. form_input( ); //create input field such as text , email etc. form_label( ) function helps to generate a simple label. form_input( ) function allow us to generate a standard text input field. We can pass the array containing indexes and values to create different input fields. Text input field can be created by just passing a simple associative array to form_input( ). By default form_input( ) create a text input field. An input field can be created with read-only permission by passing ‘readonly’ as an index and value both in the associative array of form_input() function. Email input field can be created by passing ‘type’ as index and ’email’ as a value in the array of form_input( ) function. form_password( ) function can be used to create a password input field.All other functionality of this function is same as the form_input( ) function. form_hidden( ) function is used to create a hidden field.We can create a single and multiple hidden fields both using this function. For a single hidden field, we have to pass two values in which first value contains a name and second value contains a value for the hidden field. To create multiple hidden fields we have to pass an associative array in which each index will act as name and their related value act as value for the hidden fields. form_radio( ) function is used to create a radio button in a form in CodeIgniter. As we know that radio button is used for single selection so its name attribute must be same. form_dropdown( ) function is used to create standard dropdown field. It basically contains three parameters. First parameter contains the name of the dropdown field, second parameter contains associative arrays of options needed in dropdown and the third parameter contains the value wish to be selected. For detailed information about form_dropdown( ) function in codeigniter read our article CodeIgniter form dropdown. form_checkbox( ) function is used to create a checkbox field in CodeIgniter. As we know that checkbox field is used for multiple values selection so its name must be an array and each checkbox contains array having same name. form_textarea( ) function is used to create a textarea field in CodeIgniter. To define the height and width of textarea we have to pass an associative array with index ‘rows’ and ‘cols’ with numeric value. form_fieldset( ) function is used to create a fieldset in CodeIgniter. Remember to use form_fieldset_close( ) function to close fielset tag. form_upload( ) function is used to create a upload field. For this, we have to only pass an associative array with index ‘type’ and value ‘file’. Other functionality is same as form_input() function. form_submit( ) function is used to create a submit button in CodeIgniter. form_reset( ) function is used to create a reset button in CodeIgniter. form_close( ) function is used to create closing form tag. Let’s have a look at some other functions which are used to set values in different tags. set_value( ) function helps to set default value for a input text field. The first parameter should be a name of an input field and the second parameter will be a value you want as a default value. set_select( ) function help you to create a select field and also allow you to set a default value for the select field. The first parameter contains the name of the select field, the second parameter contains values for each item and third parameter allow us to set default item. set_checkbox( ) function help you to create a checkbox and also allowed you to set a default value. The first parameter contains the name of the checkbox, second parameter contain its values and third parameter allow us to set a default value. set_radio( ) function help you to create radio buttons and also allowed you to set a default value. The first parameter contains the name of a radio button, second parameter contain its values and third parameter allow us to set a default value. Now, let’s use the above-mentioned functions and create a form which will help you to understand the functionality of each function more clearly. Before we start coding, we have to make following changes in the configuration files of CodeIgniter. This entry was posted in CodeIgniter and tagged CodeIgniter, Form. Bookmark the permalink.